Serving exceptional Gulf Coast seafood from one of South Carolina's most entertaining destinations, Landry's Seafood in Myrtle Beach has been delighting Broadway on the Beach guests for years. 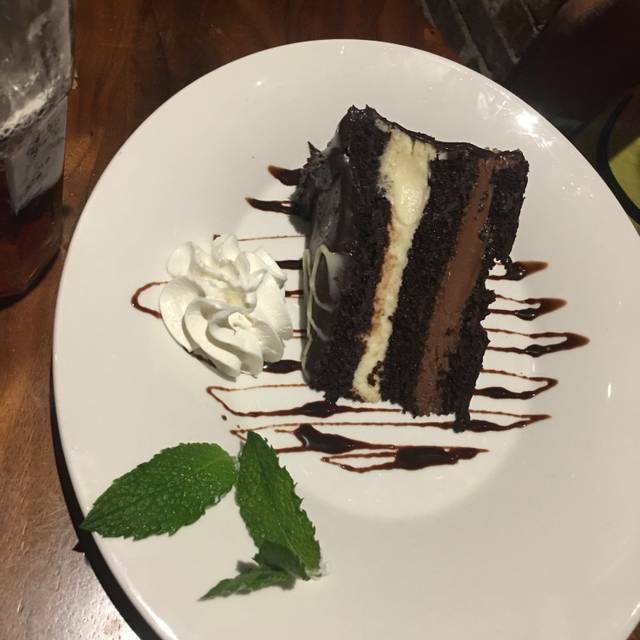 Situated near Ocean Boulevard and all the excitement of the Carolina coast, Landry's serves fresh seafood, succulent steaks and mouthwatering desserts, all with beautiful waterfront views. Our famous Happy Hour is a favorite with local golfers who enjoy cool drinks and great bites after a day on the links. A wide variety of hotels, condos, attractions, shopping destinations and nightlife hotspots are just a short trip from your table. 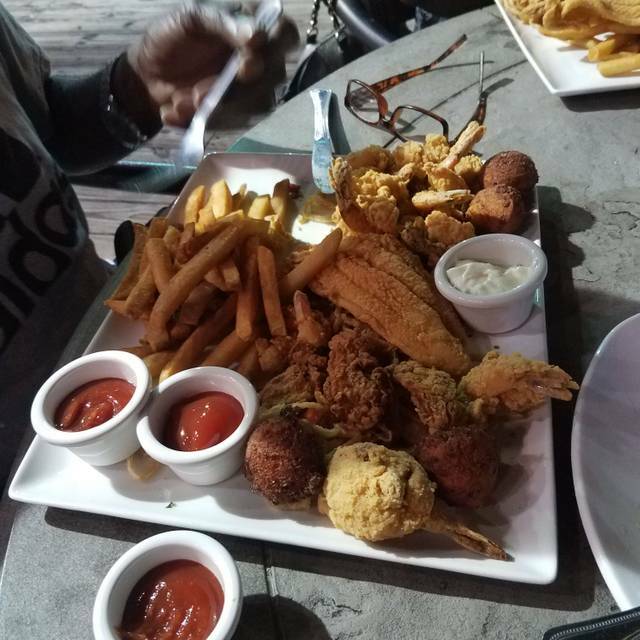 Visit today and enjoy amazing seafood, friendly service and the charming atmosphere found only at Landry's Seafood in Myrtle Beach. Celebrate Cinco De Mayo at Landry's Seafood House! Grab a Premium House Margarita + Two Blackened Fish Tacos for only $10! Join Us for Easter! We'll be serving dinner all day. Reservations highly recommended. Overall the food was good but we waited a long time for someone to take our order and for our food to be served in a relatively empty restuarant. The service was good and so was the food. I was disappointed that they were out of lobster seeing as though that was the purpose for my birthday visit but my meal was still satisfying. The hostess was very rude in seating us. She rolled her eyes several times. The waitress didn’t seem to enjoy her job. Several times we thanked her and she didn’t say anything at all. She also seemed to be annoyed that we were ready to order soon after being seated. My friend got the mahi mahi and could tell it wasn’t fresh, it was almost rubbery and The broccoli was under cooked. Food was not that good, nothing was brought out hot. Some of the food felt barely warm. Overpriced and really slow service. It took us 2 hours to eat and there were only about 4 tables occupied. The food and service was wonderful. We always try to eat at a Landry’s while on vacation. The chef specials are a must! We would definitely go back. Great menu and excellent service. Would definitely recommend and will certainly return. 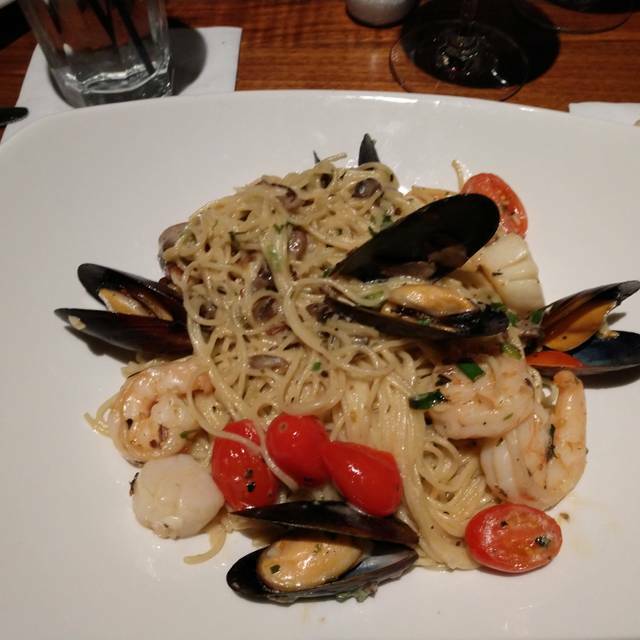 I had the coastal seafood pasta dish. All the seafood was over cooked and tasted like rubber. Had one scallop and it should of been seared to get a better flavor out of it. The sauce for the pasta didn’t go well with it. And the crawdad bread was awful. I could taste that it has been frozen and the crawfish were like paste when I was eating it. The bread was good by itself. The house salad was the best thing i had that day. Thanks! Great food and atmosphere. Awesome! Great food and service. The food was delicious. My husband especially enjoyed the Alaskan King Crab & I my Chicken Mushroom entrée. Erin, our Server, was very professional, attentive and personal. We had a lovely dinner experience. Thank You! All our entrees were served hot & Lucy was a great server. Had diner Wednesday night with my wife and old friend from New Jersey. We went early so the restaurant was not busy yet. As always the service was excellent. The staff handled my wife food allergies with no issues. I had the crab cakes, my wife had the plank salmon and my friend had a seafood/pasta dish. All were again, as always, delicious. This is a fine food restaurant located within a busy tourist destination, "Broadway on the Beach". Do not let that put you off from going there. This is one on Myrtle Beach's best. The only problem we had with Landry's was actually finding it. Myrtle Beach does a terrible job with surface street signs. We were late for our reservation because of that. However once we were there it was a great experience. Ranel our server was amazing and the food was even better! Huge portions of amazing food!! Great service, wonderful food. Would suggest a little more lighting as it was difficult to read the menu but overall a wonderful birthday experience. Had to send back one of the meals because the crab was reheated and then they tried to double billed us for the dish. Extremely overpriced for the amount of food that you got. The food was excellent as was the service. We are looking forward to our next visit. Our server Erin was outstanding. She explained the menu in detail helping us choose options perfectly suited to our taste. My wife is lactose in tolerant and Evan was able to show her options for her dietary needs. Very knowledgeable staff. Empty restaurant, poor service. Fishy and salty fish. You can always depend on a good meal from Landry's. 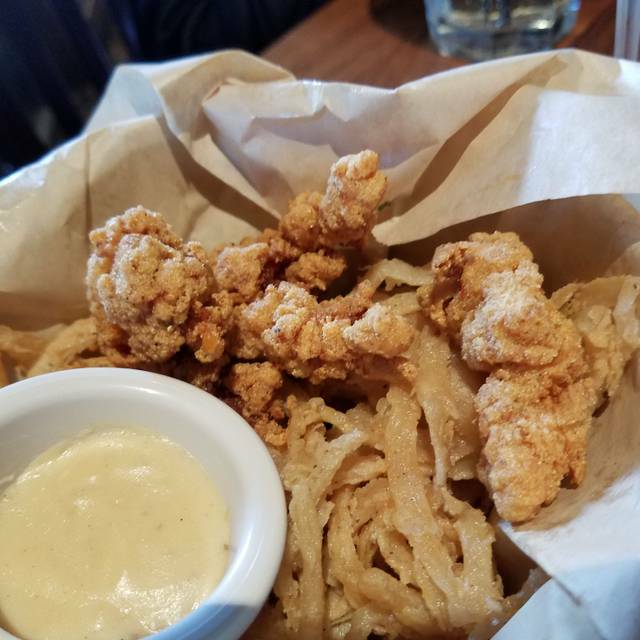 As a gluten free customer and a wife who isn't, The Landry's Seafood and Steak offers many choices. I had the blackened freshly caught snapper with rice and a wonderful mango sauce. My wife chose the grouper that was perfectly cooked and tasted just as good as my snapper. You can always depend on Landry's. Initially our visit started off well. We were seated quickly with our reservations, drinks and appetizers orders were prompt. Things went down hill after that. It took over an hour to get our food. Our server was very nice and knowledgeable of the menu but seemed to disappear throughout the night. She would be gone for a while even after offering to refill drinks. Took over 15 minutes several times to get drunk refills. The food itself was good, but good enough for the price. The appetizers (calamari Rockefeller oysters and shrimp enbeochette) were probably the best part of the meal. Overall the experience was fair at best. If service wouldve beeen more involved and prompt, probably would’ve been a little better experience. We must have hit Landry's at a time when they were understaffed. Even with empty tables, we waited far too long to be waited on and for our meals to be prepared. While the food was very good, the steaks were not cooked as requested. Over or under cooked. With time being an issue, we didn't have the luxury have having the steaks cooked a second time. Unfortunate. We know Landry's has and can do better. We visited for my wife’s birthday dinner and thoroughly enjoyed everything about the evening. Good was great and service outstanding! We will definitely be going back to Landry's. We were looking for one closer to us. Our waiter was very professional and nice. Great service and food. Staff was extremely accommodating. This will now be one of our regulars. As always top notch service, the food was superb. A great birthday dinner. Ronnell was an awesome server. Maybe because it was NYE but service was not great. Food was amazing so it made it worth it! The food was pretty good. The room was so dark patrons were using their phones to read the menu. There were lots of folks for New Year’s Eve. Service slow but waiter was nice. The salmon was very good! Great place with good service. 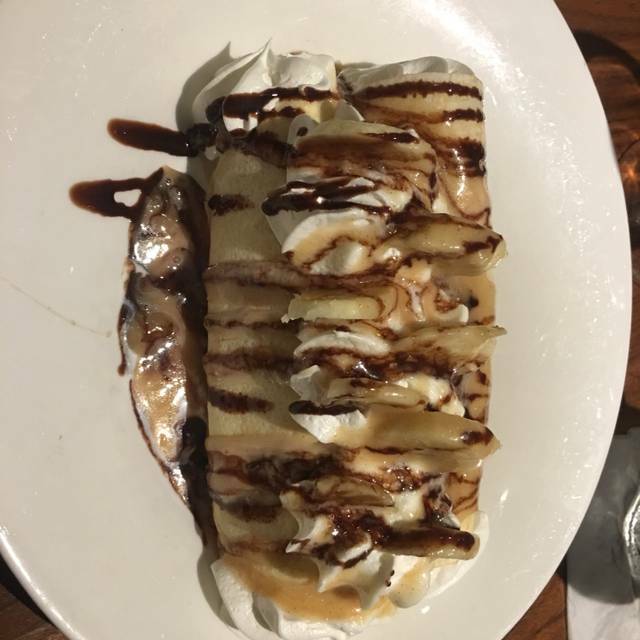 The food is always excellent and the staff is very friendly and provides an great level of service. We always enjoy dinner at Landry's when we are in the Myrtle Beach area ... it is worth your time to dine here. We have eaten here several times over the past ten years and it is always great. This visit we chose to have Christmas dinner here and it was exactly what we expected. The service was prompt and the food was perfect! Consistency rules here and it shines through every step of your visit. 5 star quality and service!! Electricity went off while we were eating our soup & salad - not their fault. It was how they handled the situation that left a lot to be desired. It was like living in a 3 Stooges episode...with lots of Stooges. It seemed as if no one was in control or controlling the communications. Different messages from different people, at neighboring tables. It was Christmas dinner, most places required a reservation. Electricity was restored around 6pm and they were still trying to decide whether to serve us or send us on our merry way. After 30 minutes of being jerked around, we left - to go back to our hotel and get a bag of chips. Such a horrible experience, from what I thought was a well seasoned restaurant. Awesome Christmas dinner. Our waiter was excellent his name was khaliff.